Icelandic artist Ragnar Kjartansson will return to Wales to present a brand-new performance piece, The Sky in a Room, co-commissioned by Artes Mundi and National Museum Wales. The exciting performance will see a series of revolving organists performing the 1959 hit song "Il Cielo In Una Stanza" (The Sky in a Room) on the 1774 Sir Watkins Williams Wynn organ, and will run from 3 February to 11 March at National Museum Cardiff. The purchase was made possible thanks to the generous support of the Derek Williams Trust and the ArtFund, and will become part of Wales's contemporary art collection at National Museum Cardiff which includes works by Rodin, Bridget Riley, Monet and Lucien Freud. 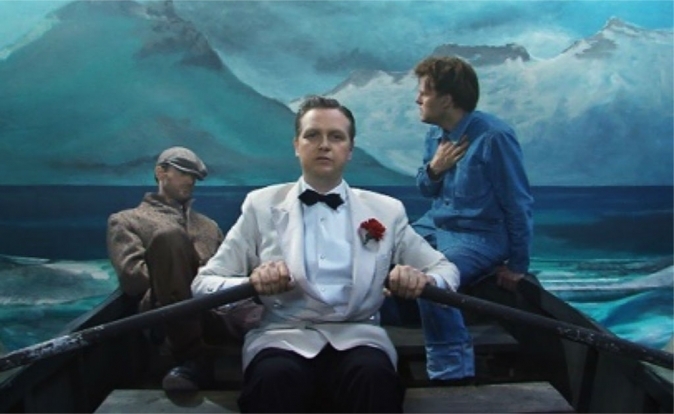 This is the first time that a work by Ragnar Kjartansson has been commissioned for a UK public collection. This exciting new commission will merge historical and contemporary art forms in a space where the visitor becomes witness to a dreamlike, surreal, and sometimes humorous environment typical of Kjartansson's practice. The song at the centre of the durational performance is and an Italian pop song called "Il Cielo In Una Stanza" (The Sky in a Room), written by one of Italy's most celebrated songwriters Gino Paoli and was originally recorded by Italian national treasure Mina. Across a five-week period, for five hours a day, a revolving series of organists will perform the song. The song was originally described by the composer as the belief "that love, at any moment, could overcome any barrier or border".